UNITED NATIONS, January 26 -- Hours after the International Criminal Court in the Hague on January 23 confirmed charges against four of six Kenyan officials for crimes against humanity during the post-election violence, Inner City Press formally asked several International Monetary Fund spokespeople to "state how this ICC indictment changes the ways in which the ICC will engage with this finance minister," Uhuru Muigai Kenyatta. Given past IMF stonewalling, on questions ranging from IMF financing of Dominique Strauss Kahn's forays to the place of human rights if any in its decision-making, after submitting the Kenya question to the IMF, Inner City Press made the question public, here and on Twitter. Three full days went by without the IMF stating its position. On Thursday, Kenyan president Mwai Kibaki e-mailed out a statement that "the president has accepted the decision by Uhuru Kenyatta to step aside as the minister for finance." Kenyatta is, however, remaining on as deputy prime minister. While this was a post created in the 2008 deal, the partial resignation impacting only the Finance post implies that Kibaki felt that someone -- the IMF? -- would not have dealt with the country through Kenyatta. Inner City Press on Thursday morning reiterated its question of Monday, by e-mail before the IMF's biweekly online briefing and through the Fund's "Media Center" during the briefing. While not having acknowledged Inner City Press' formal and public question on January 23, on January 26 IMF deputy spokesman David Hawley took the question from another publication -- and dodged it. Hawley said the IMF has no comment, it has relations with "governments, not individuals." This is a dodge. The IMF is ostensibly part of the UN system; while the UN could say it deals with governments not individuals, it has a stated policy that it will deal with ICC-indictees only "as necessary." How can the IMF deal with governments except through people? And what is its policy? 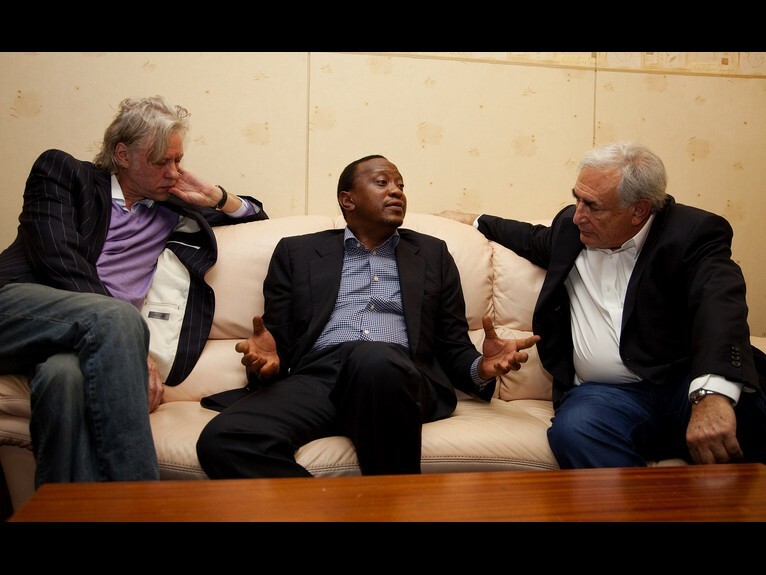 IMF's DSK, rocket and Kenyatta: IMF doesn't deal with individuals?